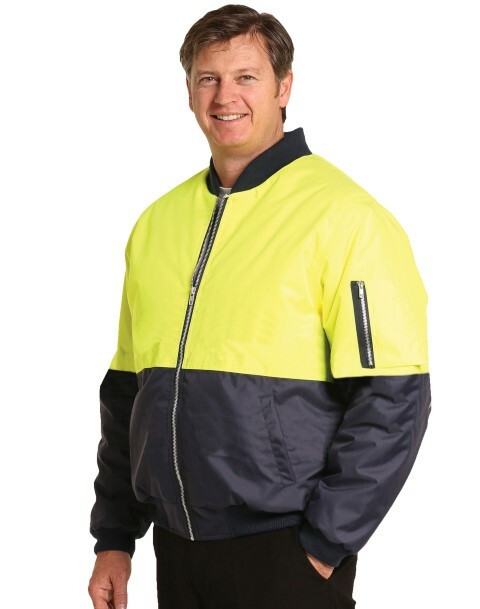 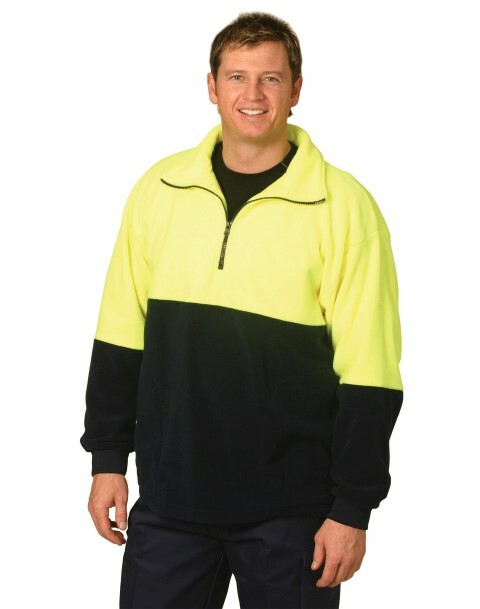 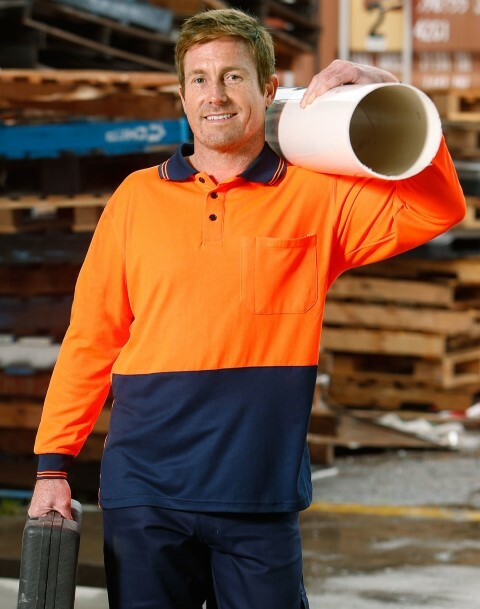 Conforms to AS/NZS 4602.1:2011 Class D day use safety wear with UV rated: durable polymesh knit TrueDry®. 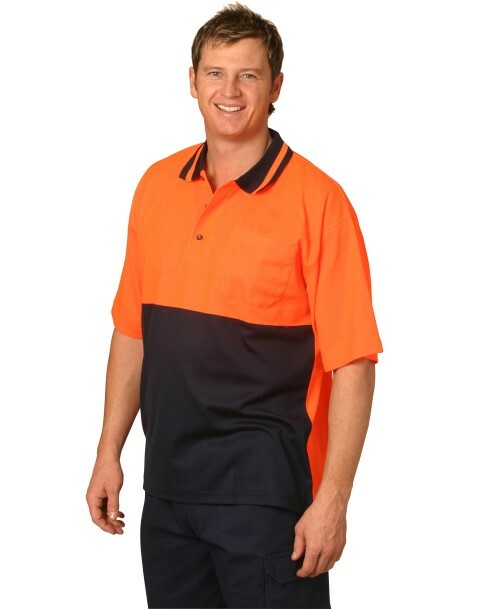 Contrast collar & cuffs with a single stripe. 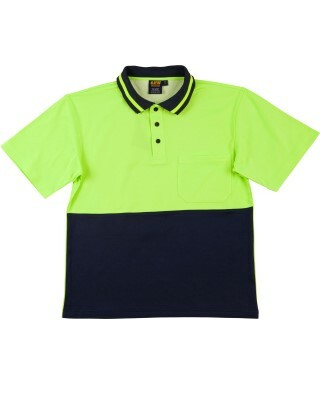 Contrast lower front garment, collar, half sleeve & cuffs in navy colour. 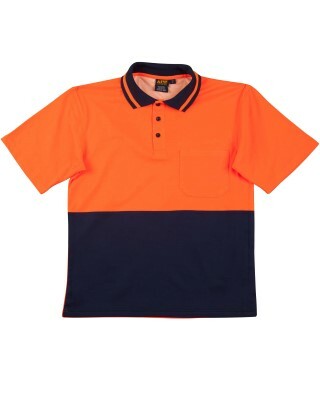 Split front only.